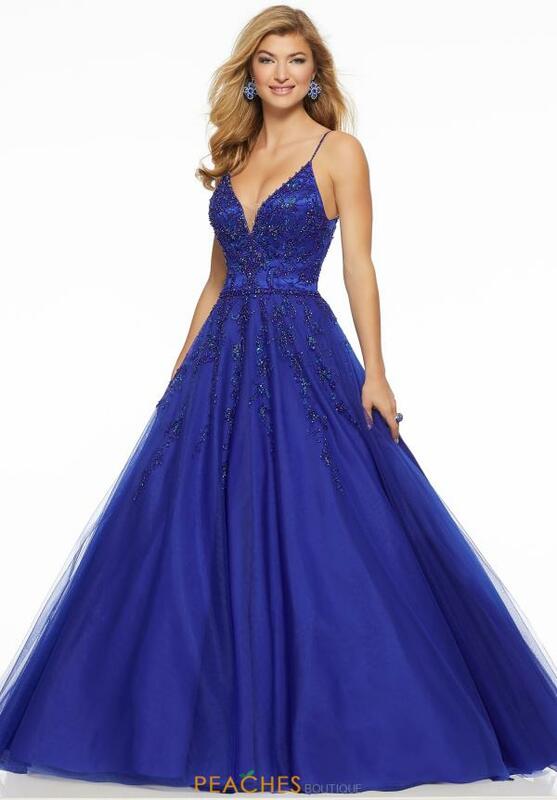 You are sure to have all eyes on you when wearing this eye-catching Mori Lee dress 43044. A classic V-cut neckline is placed along the bodice, pairing perfectly with spaghetti straps. Tone-on-tone bead work gleams effortlessly throughout the bodice and full tulle skirt. A thin belt along the waistline cinches your figure.